Rogan came to live with us in April of 2008 from Hilbersdorf, Germany. 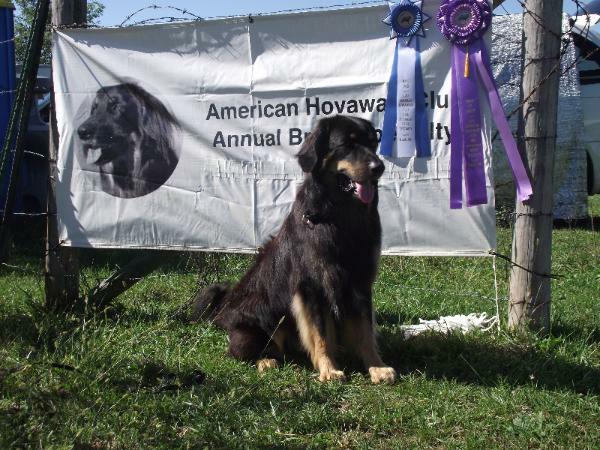 Koli's breeders were a great help in finding Rogan and helping his breeder through the process of international 'dog travel'. Rogan earned his UKC championship in only 2 weekends and hopes to find more competition so he can get his UKC Grand CH in the future. Health test results available online at: www.offa.org. Rogan is the father of Helderberg's B and D litter, and VTF Hovawart's F litter.